Blake Shelton Wedding, Baby Plans: Miranda Lambert’s Ex Is Marrying Girlfriend Gwen Stefani as 1st Baby Arriving? Suri Cruise 2019: Katie Holme’s Daughter Turns 13; Did Tom Cruise Sent His Greetings on Her Special Day? “John Wick: Chapter 3 – Parabellum” is coming and fans will be able to see Keanu Reeves back to the silver screen as the famous hired gun. This will be the third and final film sequel that began in 2014, and before the movie premieres, check out some details to know more about this new action movie. “John Wick: Chapter 3 – Parabellum” will show John wick on the run after he assassinated Santino D'Antonio, the main villain in the previous sequel that was released in 2017. Based on the photo teaser that was posted on social media, Keanu Reeves’ character will muse over his tragic past while looking at the photo of his deceased spouse, Helen Wick. 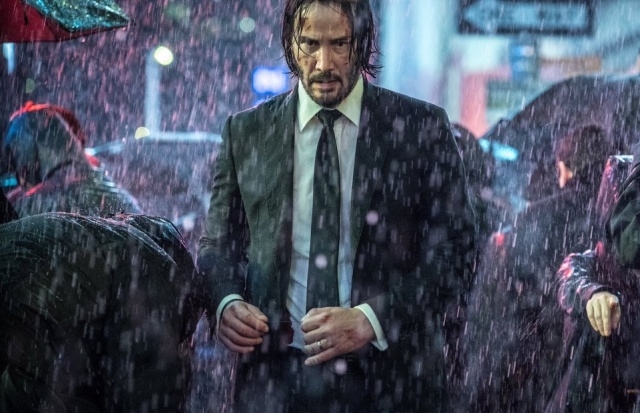 He remembered how the thugs robbed his wife and killed his puppy in the first “John Wick” film so he sought vengeance. However, his quest for revenge turned to something really dangerous. The events just took a nasty turn and everything got so messed up. Previously, Coming Soon met with Common for a brief interview, and he confirmed that he will not appear in “John Wick: Chapter 3 – Parabellum” as Cassian, the villain. In chapter 2, his character’s fate was left hanging in the air so it was not difficult for his role to be cut from the movie. “I’m not in the third part, but I could say that I really loved being a part of John Wick 2 and it was an amazing experience,” he said. The other confirmed cast members for “John Wick: Chapter 3 – Parabellum” are Halle Berry, Laurence Fishburne, Ian McShane, Mark Dacascos, Asia Kate Dillon, Lance Reddick, Tobias Segal, Saïd Taghmaoui, Jerome Flynn, Jason Mantzoukas, Boban Marjanovic, and Anjelica Huston. Chad Stahelski is also returning as the director and Derek Kolstad as the scriptwriter.